"Here comes John Lasseter! If he knocks, pretend we're not home!" Beauty, delicacy and warmth are not words that readily come to mind these days when one thinks about animated films — those hard-edged, gag-filled, Broadway power ballad computer programs from companies like Pixar and DreamWorks. But then there is Studio Ghibli, co-founded by the great animation artists Hayao Miyazaki and Isao Takahata, whose films have charted a different course of animation. Broadway is out; feeling and transcendence are in. Riding that different ethereal plane is Takahata’s The Tale of Princess Kaguya, a hand-drawn artwork about what it means to be alive and the evanescence of existence. The Tale of Princess Kaguya derives from an ancient Japanese folktale (“The Tale of the Bamboo Cutter”) about a radiant princess from the moon who arrives on earth bringing joy to an earthbound family until her sad, preordained return to space. An elderly bamboo cutter, Okina, is going about his task in a forest of bamboo when he cuts down a bamboo stalk and discovers a tiny baby princess inside the stalk. He takes her home to his wife, Ona, and they lovingly raise her. Okina tells his wife, “Heaven has sent her to me as a blessing.” Ona, much wiser, warns, “There’ll be more to this than you think.” True to Ona’s prophecy, the infant grows at an accelerated pace and when Okina chops down another bamboo stalk to discover gold and diaphanous silk robes, he determines to take the girl to Kyoto, construct a mansion, and bedeck her in finery — only fitting, he reasons, for a noble princess. It is as a princess that she is dubbed Princess Kaguya (“shining light”) by high-ranking lord Akita. But her nobility and lofty station make Princess Kaguya a prisoner and she longs to return to the pure joy of her childhood country home and the simple elemental gifts of friends and nature she enjoyed as a child. The Tale of Princess Kaguya is quite a turnaround for Takahata, an animator whose realistic previous work (Grave of the Fireflies) made Takahata the Roberto Rossellini of animation, his work centered in a blistering reality. But at 79 years old, Takahata is now searching for transcendence rather than social criticism. The Tale of Princess Kaguya is a full-hearted and bittersweet meditation on mortality and human connection. Much like Miyazaki with The Wind Rises, Takahata’s The Tale of Princess Kaguya feels like a career summation and a reckoning with life and art. 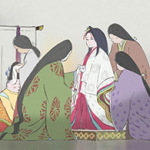 Abandoning his previous style, the animation in The Tale of Princess Kaguya is impressionist and influenced by the delicate strokes of brush painting. The colors are soft, watercolor pastels of bright earth tones of green and brown with textures of white, yellow, and red, emotionally moving hues in this meditation on being alive. There are wonderful sequences, pauses in the story, of vibrancy and vigor – the princess’s race back to the country, a magical cherry blossoms sequence, children hunting a pheasant, dreams of flight above the trees, and the climactic and soaring flight to the moon. And quiet scenes of life – two characters enjoying pieces of fruit, a baby’s first steps and giggles of joy, a perspective from a vegetable garden. Takahata is looking at what it means and feels to be alive and reminds us of the small moments that make up a life and make people human. Existence is fleeting and materialism blinds us to what is in front of us. At one point in the film, a character tells Princess Kaguya that the only way to hold off the inevitable is by facing it defiantly – “As long as you can answer back by being alive.” For Takahata’s valedictory film, you can’t get more life-affirming than that. 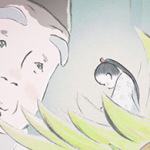 The Tale of Princess Kaguya is a joy to behold. 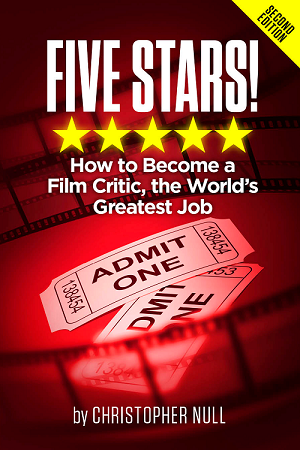 The film unfolds like the scroll a character in the film majestically unfurls. It proceeds slowly and its pace engulfs you. Carefully crafted work such as this does not come around very often these days. The Tale of Princess Kaguya is a film to be savored.